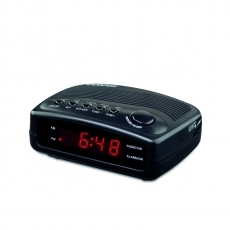 A Conair® Hospitality Alarm Clock makes it easy for guests to get up and get going! 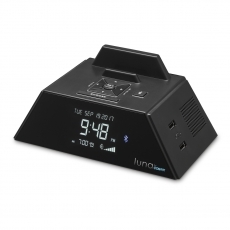 The latest addition to the line, Luna by Conair™ Alarm Clock Charging Station, offers a variety of features including two USB ports and two AC outlets built into its uniquely styled housing. 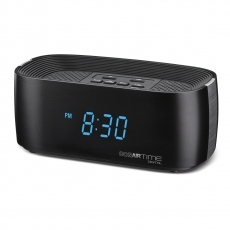 With a large display and Bluetooth ready, Luna is the perfect clock for any guest room. 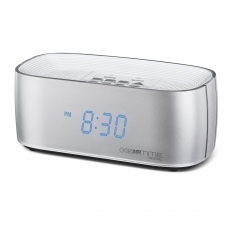 Conair offers a full range of premium alarm clocks, from the top-of-the-line Luna to a streamlined compact, all with Single Day Alarm and user-convenient features. 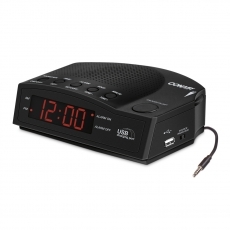 Choose from this expanded collection of Conair® Hospitality Alarm Clocks to let your guests set up in-room playlists, charge multiple devices at once, or just get to where they need to be – on time!